This ivory tri-coat pearl crew cab 4X4 pickup has a 8 speed auto transmission and is powered by a 395HP 5.7L 8 Cylinder Engine. View the original window sticker for this vehicle with this url http://www.chrysler.com/hostd/windowsticker/getWindowStickerPdf.do?vin=1C6SRFLT9KN775370. Buy this vehicle now for the lowest bi-weekly payment of $401.08 with $0 down for 96 months @ 4.29% APR O.A.C. ( taxes included, Plus applicable fees ). Incentives expire 2019-04-30. See dealer for details. * Every reasonable effort is made to ensure the accuracy of the information listed above. 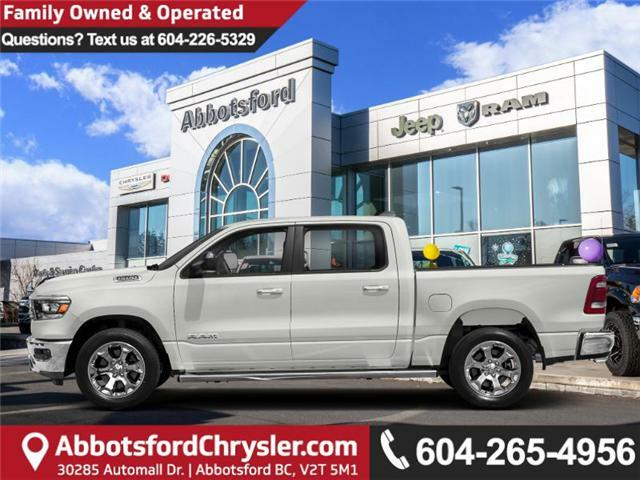 Vehicle pricing, incentives, options (including standard equipment), and technical specifications listed is for the 2019 RAM 1500 Sport may not match the exact vehicle displayed. Please confirm with a sales representative the accuracy of this information.